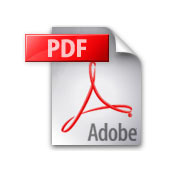 In this study, experiments were conducted to determine the influence of vibration on loudness perception. The audio-tactile loudness illusion was found: Sounds were perceived louder, when accompanied by vibrations. This effect can be used, e.g. in discotheques or cars to reduce bass level, while simultaneously increasing the perceived sound quality. 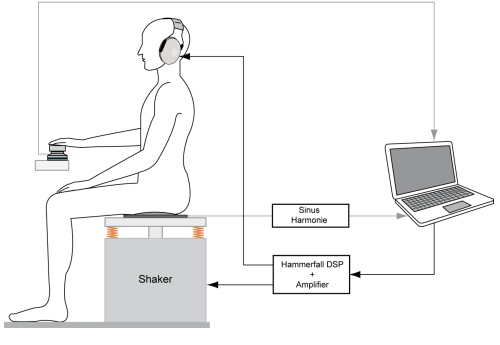 Vertical whole-body vibrations were produced using an individually calibrated electro-dynamic shaker. A pair of closed dynamic headphones was used for audio reproduction. A loudness matching experiment was carried out with 28 participants. In this experiment, sinusoidal sounds were presented in the absence and presence of simultaneous vibrations. Participants had to match the level of the acoustic stimuli while ignoring the tactile stimulation. The loudness matching experiment was carried out for four sinusoidal tones, at the frequencies of 10, 20, 63 and 200 Hz. Three different vibration levels (4, 8 and 12 dB above the vibration threshold for each participant) were used to study the influence of the vibration amplitude. 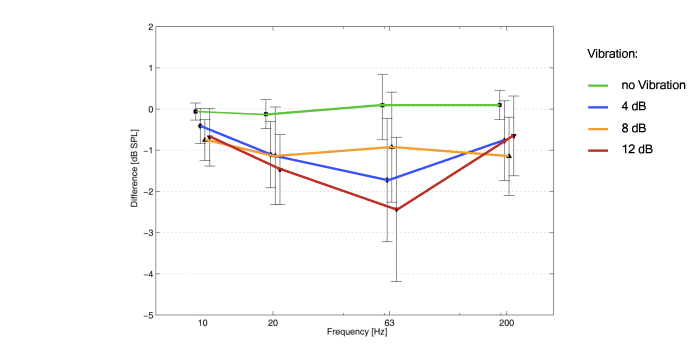 Results indicate that whole-body vibration had a significant influence on loudness perception. When an acoustic stimulus was accompanied by vibration, the level of the acoustic stimulus was perceived one decibel higher on average. Taking into account, that the dynamic range of the auditory system decreases with decreasing frequency, a small increase in sound pressure level can change the perceived loudness considerably.